Confessions of a teenage Pixel Pusher, aka "How did I get here?" When I was 19 I was a pixel pusher. In the early 90’s, when I was still an art student, I was lucky enough to get an art gig working at Spectrum Holobyte. It was one of the most innovative game companies of the time, known for a slew of game titles. One of them was the personal computer version of the famous game Tetris. Spectrum Holobyte, which later became Microprose, was known for its extremely realistic and detailed (for those days) flight simulator games. I pushed pixels in those days. 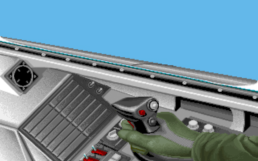 All computer artists did, as the main tools for in-game graphics were tools like EA’s Deluxe Paint, Autodesk Animator, and (gasp) Windows paint. It was not exactly art and not exactly math, but a little of both. And depending on what side of the scale you fell, you became a technical artist or an artists artist. 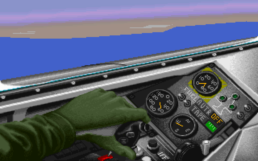 Spectrum Holobyte’s art direction was more photo realistic, which was a challenge for pixel art, since it only supported up to of 256 colors at best, and down to 4 at worst. 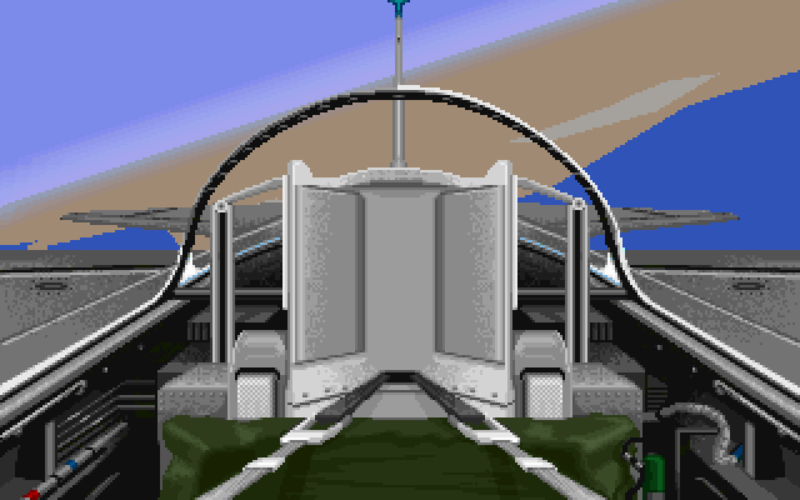 The goal was usually to simulate photos or reality by tricky use of color palettes, dithering, and anti-aliasing. That is a term someone used in company meeting at Microprose on one occasion, and it always stuck with me. It generated a few sniggers from the peanut gallery, but it’s meaning seemed to be prophetic for the development of technology. 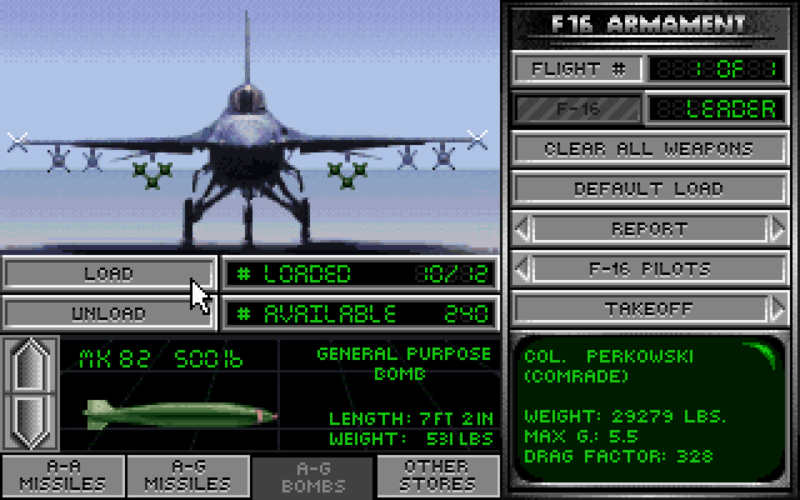 At the time, the 19 year-old pixel pusher me, never imagined I’d use those skills in the future. Technology is always improving I figured, no turning back. Yet, years later, as mobile phones became powerful enough to run video games, my skills as a pixel artist experienced a renaissance as I worked again as a pixel pusher for video games running on feature phones, the iPhone, and Android! 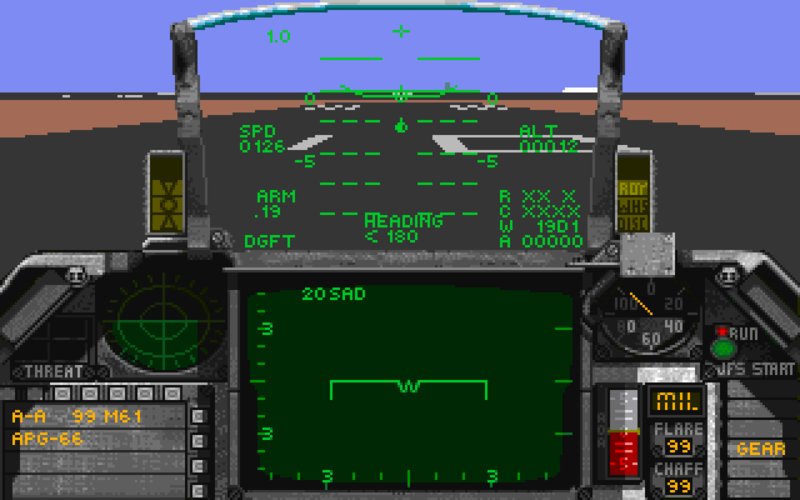 CEO Gilman Louie was responsible for the simulations at Spectrum Holobyte, and at that time Falcon 3.0 was the most technologically advanced flight simulation available on the personal computer. 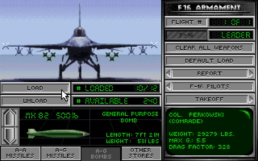 Indeed, it was so advanced and faithfully designed that General Dynamics, the manufacturer of actual F-16 jets, invited Gilman out to Texas to demonstrate how his little F-16 flight simulator on the PC could be adapted into a military grade training simulator to help train actual F-16 pilots! 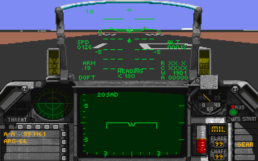 I had been building a simple app to demonstrate the flow of how the flight simulator could be customized for General Dynamics’ needs. Because of this I got to go to Texas to help demonstrate the proposed simulator, and get a tour of General Dynamics F-16 assembly line!